As part of the street party tomorrow, Planet South Bank will have a stall in the Bishy Road car park. Look out for children’s lucky dip, lavender bags (locally grown organic lavender! ), and bespoke Bishy Road pots and bookmarks. 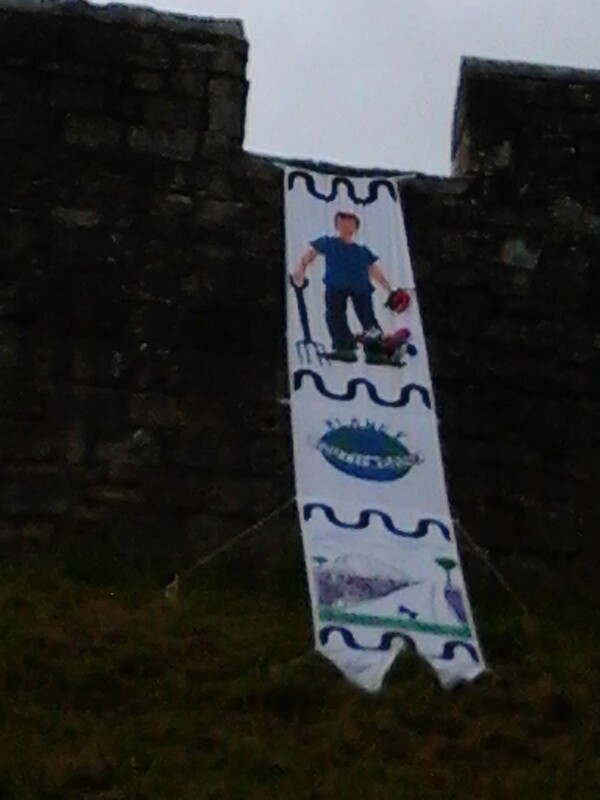 And as York and Yorkshire go Tour-crazy, City of York Council has put up along the city walls about 60 banners made by York community groups and organisations. Here’s the one made by Planet South Bank – we’re up near the railway station. This entry was posted in events and tagged Bishy Road, Community, plant stall. Bookmark the permalink.